The success of The Ride to Conquer Cancer last year showed how many people were touched by this life altering disease and why so many are willing to help find the cure. Many more lives will be affected unless a cure can be found. That’s why even how many millions of dollars were raised from last year’s ride, the fight continues and along with many others, I am back to do it all over again in 2009! On June 13-14, 2009, I’ll be participating in a 2-day major cycling event benefiting Princess Margaret Hospital, Canada’s leading institution devoted to cancer research and care. It’s a bike ride, over 200 kilometres, from Toronto to Niagara Falls. It will be a challenge in a number of ways, but with my bike, perseverance, and your generosity, it can be done! 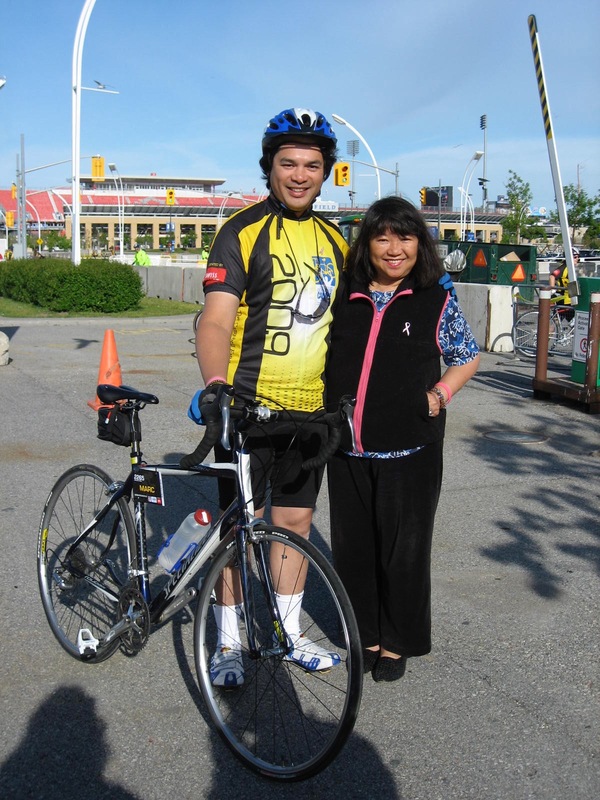 Why I Ride to Conquer Cancer?